Favored by Gods themselves, Kerala is bliss incarnated. What better than a vacation in the most blessed region of India? 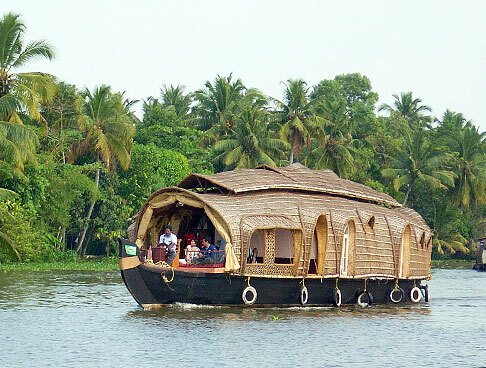 Kerala Backwater presents the Best of Kerala tour. The 8-day itinerary truly covers the best the state has to offer. The tour starts from the Harbour City, Cochin and end in the beautiful capital city Trivandrum. 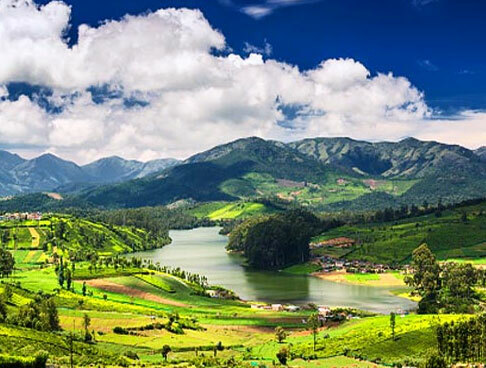 The delights of the itinerary include the scenic hill station of Munnar, wildlife-blessed Thekkady, backwater town Alleppey and the beach haven Kovalam. Peruse the given itinerary for all details. 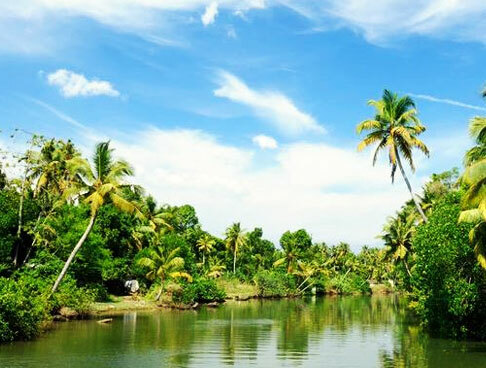 Kerala Backwater's Best of Kerala Tour starts with your arrival to the Cochin Airport. Meet our tour representative and get assistance for transfer to hotel. Rest for a while, after you check-in to your hotel. Later, proceed for a local sightseeing tour of Cochin. 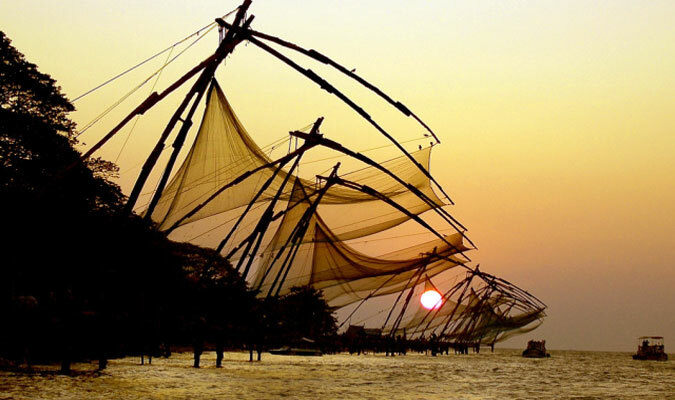 The port city of Kerala has a multi-ethic heritage. Explore the history, culture and architecture. The sightseeing tour highlights include Fort Cochin, Mattancherry Palace, St. Francis Church, Dutch Cemetery, Jewish Synagogue, Dutch Palace, Hill Palace, and Bolghatty Palace, some of the finest specimens from the bygone era. Next, go for leisurely boating at the Marine drive. Enjoy the sight of the Chinese fishing nets dipping in the sea. Go for healthy dose of shopping at the Lulu shopping mall. In the evening, attend a Kathakali dance performance, one of the lively aspects of the local culture. Start the day 2 of your tour with a hearty breakfast. After you are full from the delicious food, pack your bags and check out from the hotel. Get ready for the scenic drive to Munnar. Named among the most beautiful places in the world, the town is a picturesque delight. On your way, stop at waterfalls, watch clouds resting on mountains and lush greenery of the tea plantations. Check in to your hotel, upon arrival. Spend the rest of the day at leisure. Day 3 starts amid the bliss of Munnar. 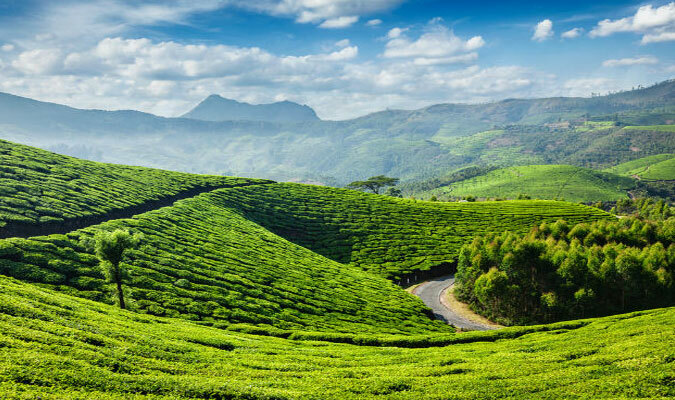 Have breakfast and get ready to embark on a sightseeing tour of Munnar. Make your first stop at the Tea Museum, where you learn all about the favorite brew of India. 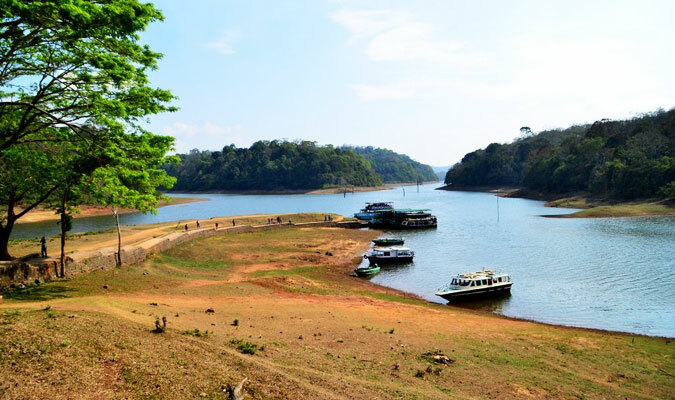 Next, visit the Mattupetty Dam, Echo Point, and Kundala Lake. Enjoy the beauty of the lush mountains and the crystal clear waters. 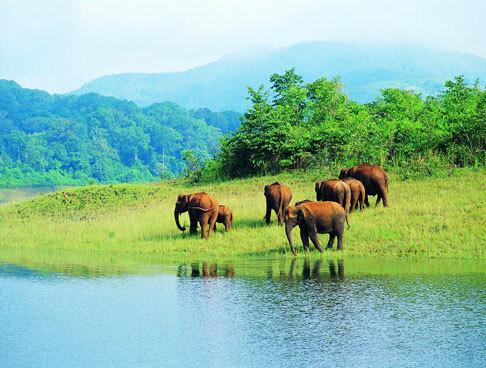 Later in the afternoon, a visit to the Eravikulam National Park is planned for you. The sanctuary in the blessed heights of the mountains is known for the rare Nilgiri Tahr. Also, a unique spectacle is rumored to exist in the park, the Neelakurinji flowers that bloom once in 12 years. Start day 4 of your tour with early breakfast. After you are full, check-out from the hotel and leave for Thekkady by road. 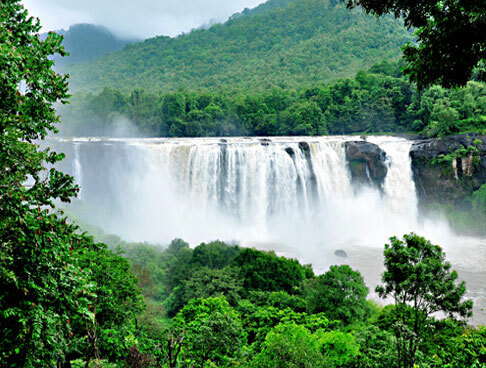 The town snuggled in the nature's bounty of spices with picturesque scenery and biodiversity is known for the adventure-filled Periyar National Park. 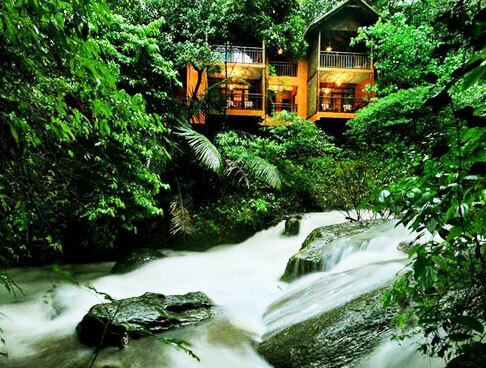 As you reach, check in to the hotel or the jungle lodge. 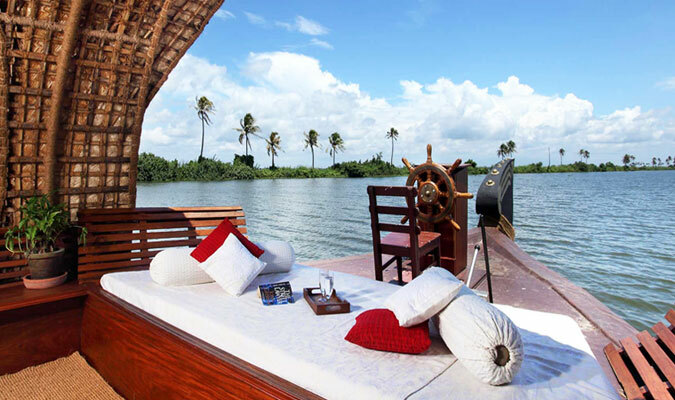 A boat ride on the Periyar Lake will be organized in the afternoon. The lake is the water source for the national park and therefore it is easy to spot wildlife easily. Spot birds, dangerous beasts and the blessings of the nature. Return for overnight stay at hotel. On Day 5, have breakfast and check out from hotel. Start towards Alleppey by road. The backwater town is India's very Own Venice and is blessed with watery sights as far as the eye can see. On arrival in the town, board one of the luxury houseboats. 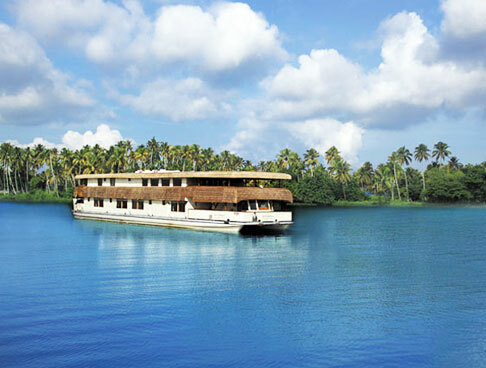 Proceed for a full day cruise on the charming backwaters. The network of waters are unique as one gets to pass scenic villages, paddy fields, elegant churches, temples and rare birds. At night get to the deck to have a look at the million stars and feel the bliss. Spend the night on the houseboat. Day 6 the houseboat arrives to the land. After your scrumptious breakfast, check out from the houseboat. Later, begin driving to Kovalam by road. 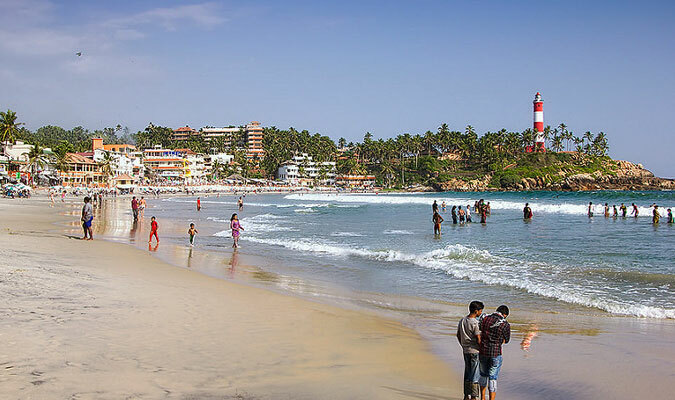 The beach haven of Kerala, Kovalam is wonderful. Check in to the hotel on arrival. The day is at leisure. Go for walks on the shores, bask in the sun and have a fun time with waves. Enjoy a glorious sunset, get a grab of local seafood or indulge in one of the pampering Ayurvedic sessions. Day 7 wake up to view a spectacular sunrise. Have a sumptuous breakfast, after which proceed for local sightseeing tour of Trivandrum. Visit the revered Padmanabhaswamy Temple, the earthly abode of the Lord Vishnu and also the seat of worship for the royal family of Travancore. Next, proceed for a visit to the Napier Museum and Zoo. Spend the afternoon shopping for handicrafts, seashell created items, etc. Spend the night at the hotel. Today the tour comes to an end. After you are done with breakfast, pack your bags and check out from the hotel. Get transfer to Trivandrum airport /Railway Station to connect for onward destination. Return home with remembrances of the best of Kerala. 01 boat ride in Periyar lake. Guide services in other places.